 The Investments & Wealth Institute supports and promotes the highest level of ethics in the profession. Our Code of Professional Responsibility helps advisors enhance the quality of service offered to the public. The Institute sets the standards and practices for the investment and wealth management professions, and provides the credentials and tools required for financial professionals to best serve their clients. Our mission is to ensure quality service to the public by developing and encouraging high standards in these professions. As an organization, our role has been to broaden the public's understanding of investment management and private wealth services to promote and protect the interests of the profession. The Code of Professional Responsibility was adopted in 1985 to promote and maintain the high standards of personal and professional conduct. All Institute members and certified professionals are subject to the Code. The Institute has adopted Disciplinary Rules and Procedures, which outline the process, rules and procedures through which Institute members and certified professionals are held to the Institute's standards and provide enforcement measures. All Insitute members and certified professionals must agree to continued adherence to the Institute's Marks Usage Guide, which provides guidance on properly using the appropriate marks in different types of communications, as well as an antitrust statement. Who can use CIMA & CPWA marks? What is the Institute's disciplinary process?